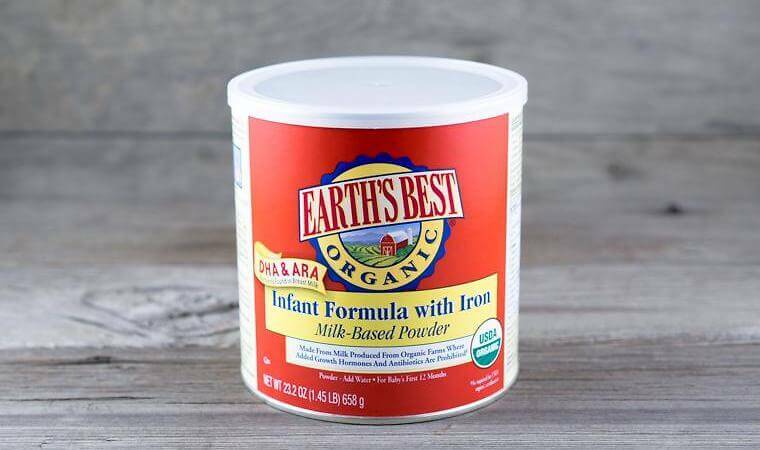 You are here: Home / Baby Products / What are the Different Types of Baby Formula? Usually one of the first struggles of taking care of a newborn is finding out the ideal infant formula that will nourish and develop your baby physically and mentally. Breastmilk is indeed the best milk for infants and developing babies however, if a substitute needs to be given, the right formula should be provided. 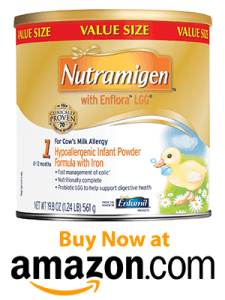 There are several types of baby formula to choose from. It is very important to choose a formula that fits an infant since an incorrect one could lead to indigestion, diarrhea, constipation, colic and weight loss. Parents, caregivers and doctors should do all they can to learn about the different baby formula to prevent these terrible side effects. Most of the infant formulas that may be brought in the market are cow’s milk – based or modified cow’s milk. There are also types of infant milk formulas made form cow’s milk that are created especially for premature babies. This kind of milk may be further classified into two types: casein and whey. Casein or curds are lumpy while whey milk is watery. Oftentimes, milk is described according to the ratio of casein to whey and this could vary from one cow’s milk formula to another. Baby’s first milk – usually baby’s first milk is from whey with casein in a ratio of 40:60. This ratio is supposed to be similar to the ratio of whey and casein in breastmilk. First milk is for babies up to his first week of life since it is during this period when breastmilk is given to babies. This ratio is also ideal for babies since milk at this ratio is easier to digest which is also a positive characteristic of breastmilk. Milk developed for hungry babies – some babies are naturally hungry and mostly babies that are more than a year old are. Milk for this kind of baby is mostly composed of casein so that milk will take longer to digest. This will make baby feel fuller longer. Cow’s milk is the most common type of baby formula unless your baby develops any kind of untoward effect to drinking cow’s milk, there is no reason to change his milk at all. If for any reason you would like to change the cow’s milk formula of your baby, make sure that you follow the instructions on the milk formula. Remember, too much milk powder could lead to constipation. Most milk manufacturers that make baby formula suitable for hungry babies usually recommend their products as baby’s first milk. However, this type of milk may have more casein which may be harder for newborns to digest. It is best to use age –appropriate milk formula instead. There are different types of baby formula and goat’s milk is used as a follow-on milk formula that has the same nutritional quantity as cow’s milk. And if your baby is allergic to cow’s milk, goat’s milk will never be an alternative simply because the proteins found in goat’s milk are very similar to cow’s milk. There are different types of baby formula but when baby is more than 12 months old, you may switch him from infant formula to goat’s milk formula. Consult your doctor if you want to make the switch. Just like cow’s milk, this kind of milk is not recommended as an infant’s only milk drink because it is low in nutrients that babies need to develop. Goat’s milk for instance has very small amount of iron which is important for brain health and overall mental and physical wellbeing. With different types of formula for babies you may however use small amounts of goat’s milk in cooking or in preparing baby’s solid food which is important for babies six months and older. Goat’s milk is available fresh or processed. Always follow the instructions found on the product label to prevent constipation and other digestive problems for all baby formula types. Another popular types of infant formula, recommended by pediatricians is hydrolyzed milk. There are actually two kinds of hydrolyzed milk baby formulas available in the market. 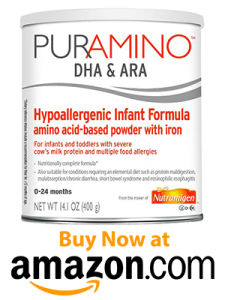 Fully hydrolyzed baby formula types are designed for babies that have allergic reactions to cow’s milk. This kind of milk has been developed to provide all the necessary nutrients for babies while preventing cow’s milk allergies. You need a prescription to purchase this kind of hydrolyzed milk formula. Fully hydrolyzed milk is from cow’s milk and therefore contains the same amounts of nutrients that standard cow’s milk have. The reason why fully hydrolyzed baby formula types is recommended for babies with cow’s milk allergy is because protein in the milk is broken down so that sensitive babies are less likely to suffer from allergies. They will be able to digest this type of infant formula easily too. Although this kind of milk is recommended for babies with allergies to cow’s milk, you cannot change his milk immediately. You need to consult his doctor before switching him to a fully hydrolyzed type of infant formula. Some babies are not allergic to cow’s milk but are just can’t tolerate this kind of milk. In this situation, doctors may just recommend using a lactose-free formula. You do not need to have a prescription to purchase this milk formula. This is a type of infant formula that is made from whey protein. Manufacturer’s recommend that this milk is much easier to digest and is for babies that are suffering from colic and abdominal pain. It may also be for babies that have allergies with cow’s milk. But even with the great benefits that this type of infant formula is known for, there is no evidence that it is easier to digest. If your baby has allergies to cow’s milk, you must consult your pediatrician before changing his milk formula to a partially hydrolyzed protein milk formula. This type of infant formula is made from soya beans and is modified to contain the right vitamins, minerals and the important nutrients that baby needs to develop physically and mentally. Consult your pediatrician first before giving your baby soya-based type of baby formula. 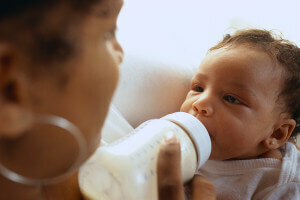 Most manufacturers of soya –based milk market their products as suitable for newborns it can be harder to digest for infants less than 6 months of age. This type of milk formula is not for babies with cow’s milk allergy. Studies show that there are 6 out of 10 babies that are allergic to cow’s milk are also sensitive to soya-based milk as well. Because this baby formula type is naturally bland, it is usually flavored with glucose syrup to make it more tolerable. Babies that drink soya milk over time can develop damage in their teeth due to glucose in soya milk. Therefore you should take extra care of your baby’s growing teeth while he is taking this milk formula. Now that you have a clear idea of the different kinds of milk formula available in the market, it is time to find out the most common baby formula type that milk manufacturers develop for older babies. It is important to learn these so that you will be able to find out while milk is the most suitable for your baby according to his age and development needs. Follow-on milks – this baby formula type contains high amounts of protein and minerals compared to other baby formula types. These are recommended for babies age 6 months to a year. This milk is also known to contain more nutrients than cow’s milk because this is enriched with iron and the right combination of vitamins and minerals. If you are planning on switching your 6 month old baby to follow-on milk, talk to your pediatrician first. Goodnight milks – this is a type of infant formula follow-on milk with cereal added. This combination is known to help babies sleep better especially at night. Goodnight milk is recommended for babies starting 6 months old. Sleep is crucial for developing babies since in sleep, the brain develops its many cognitive and neurologic functions. Therefore milk that will soothe baby to sleep better and longer would help. If you want to use goodnight milk for your baby, consult your pediatrician before switching. 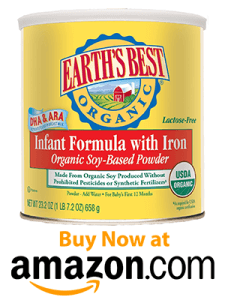 Growing up milks – this type of infant formula is enriched with iron, vitamins and minerals. This is the milk formula intended for babies one year and beyond. However, if your baby is healthy, he may not need to use growing up milk anymore. He may immediately switch to full cow’s milk and eat a variety of solid foods. Full cow’s milk may be able to provide all the vitamins and minerals he needs as he grows up. Growing children may develop his own food favorites as he grows up and this could make him vulnerable to vitamin and mineral deficiencies. Therefore, supplementing with growing up milk may still be needed as well as taking necessary vitamin supplements. Your pediatrician will be able to recommend an ideal growing up milk that will be suitable for your child. How is your baby reacting to his type of formula formula? Is he gaining weight or losing weight? Is he throwing up his milk or he is taking it well? Is there any need to change his milk? If there is no reason to change your baby’s milk then let him stay on his milk formula until he reaches 6 months or a year to progress to a better milk formula. Is your baby allergic or sensitive to his milk formula? You should first consult your pediatrician before you change his formula. Never do it on a whim. Your doctor always knows best for your child. No two babies are the same so this means you should not push your baby to follow the milk formula of his sibling or the milk formula of your friend’s baby. No two babies are alike but all newborns have sensitive stomachs as they are just adjusting to new food. Follow your doctor’s recommendations on the ratio of water is to formula so your baby could digest his milk better. If your baby is sick, do not immediately discontinue his type of formula. Monitor his condition closely and take him to your GP. He will advise the best way to deal with your baby’s condition and if there is a need to stop or to change your milk formula. 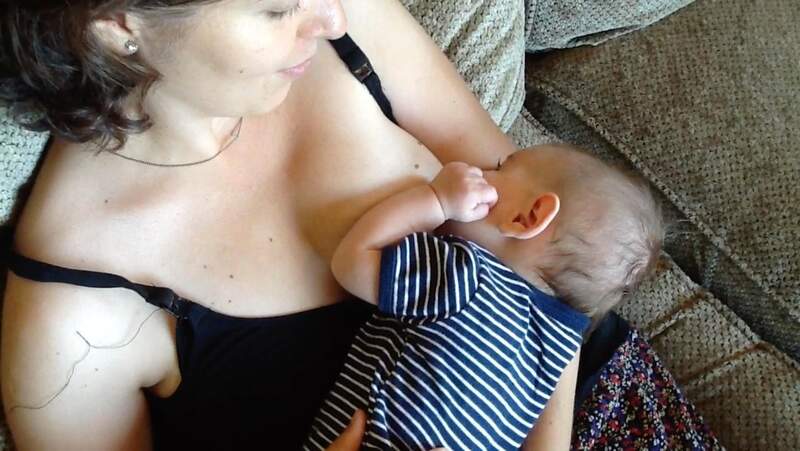 If mothers can breastmilk then they should do it! Do not hesitate to do so since breastmilk will always be the best milk that is perfect for babies. Breastmilk is easier to digest and will never cause allergies or indigestion to babies. It is also cost efficient too so parents can save a lot on milk formula. Following all these tips will help you find the best baby formula type among the different types of baby formula for your baby.